The U.S. awards EB-5 investors Legal Permanent Resident (LPR) status. EB-5 visas, also known as investor based visas, require that an investor from another country dedicate $1,000,000 to invest in a business in the United States. The investor may choose to invest in a rural areas with high unemployment known as a Target Employment Area(TEA). Investing in a Targed Employment Area reduces the minimum investment quota from $1,000,000 to $500,000. As opposed to H1 and H2 visas which import raw labor and talent, EB-5 visa investments created 800,000 new jobs from 2012 to 2016. Many EB-5 investments fund infrastructure projects in the United States. EB-5 investments funded the expansion of a Baltimore Maritime Terminal and re station in Washington DC. The EB-5 program supplies investment in infrastructure. Currently, the United States caps EB-5 visas at 10,000 investors per year. A large backlog in EB-5 visa applications prevents investors from certain countries from coming to the United States. Most EB-5 investors come from China and India. A Chinese EB-5 investor would have to wait 70 years before the USCIS processes his application. The $1 million minimum investment quota dissuades potential investors who do not want to invest that much. Even in Targeted Employment Areas, the $500,000 quota discourages many investors.Chinese investors have dominated the economies of Indonesia, the Phillipines, Thailand, and most of Southeast Asia. Chinese ownership of US property necessarily displaces Americans. Could the EB-5 program lift real estate prices out of the reach of middle class Americans? EB-5 investment visas could attract Chinese billionaires to the United States. Major Chinese tech firms are expanding into Malaysia and Singapore. Could the United States become China’s newest economic colony? If Chinese were to come to the United States, could they put small businesses out of work? Arguably, giving someone a visa costs taxpayers nothing. When a business investor comes into the United States on an EB-5 visa, he hires American workers.9 The program’s record proves it builds American infrastructure. To entice more investors, the United States should remove its cap on EB-5 investor visas. Removing the cap would admit investors who can create jobs. Lowering the minimum investment quota would attract more investors with business ventures smaller than $500,000. The benefits of the EB-5 visa program outweigh the concerns of those who feel threatened. By creating jobs, the EB-5 program strengthens the US economy more than it threatens middle class Americans. Stephen Hawking explained the proportion of matter in a black hole to the matter we know. In A Brief History of Time, by Stephen Hawking (New York, Bantam Books 1988) and The Black Hole War by Leonard Susskind (New York: Hachette, 2008), two famous physicists present differing theories of what happens to matter inside a black hole. They consider what happens to matter sucked into a black hole. Does it disappear? No one disputes that black holes absorb matter. Matter is anything that has a volume and mass. Everything we see is matter. Matter takes five forms – plasma, gas, liquid, solid, and Bose-Einstein condensate, the coldest form of matter. We see light. Light travels in waves. Light is also matter. Photons are packets of light that travel in waves. Black objects absorb light. The capacity to absorb light produces blackness. We can only see a black object if some photons reflect off the object. Nothing can escape the horizon of a black hole. In contrast to other black objects, black holes absorb all photons. That no light comes out of the horizon, makes the area inside the horizon black. In space we see a huge gaping hole. We can see only the horizon of a black hole. Nothing inside a black hole can ever communicate with anything outside of it. Of what is inside a black hole, physicists can only theorize. Theoretical physicists Stephen Hawking and Bill Unruh proved that black holes, just like any other pieces of matter, have a temperature. If black holes have a temperature, then black holes radiate heat. Hawking and Unruh called it “black body radiation.” Hawking and Unruh reasoned that if black holes have a temperature, then black holes eventually evaporate. A black hole emits “Hawking radiation.” At the surface of the event horizon a black hole creates antiparticles. An antiparticle is counterpart of a particle. The antiparticle of a quark an antiquark. When a quark and an antiquark combine, they create a hadron. The antiparticle counterpart of small particles make up the antiparticle counterparts of large particles. For example, a neutron is made up of quarks. Antiquarks make up antineutrons. The destruction of a particle leaves a neutral particle and an antiparticle. For example, the destruction of a proton leaves a neutron and a positron. Hawking radiation consists of particles, like light. Unlike light, however, Hawking radiation can escape a black hole. So how does Hawking radiation escape a black hole? At the event horizon, virtual pairs of particles separate. As a black hole evaporates, it grows hotter and smaller. After a black hole reaches high temperatures, the black hole begins to release particles of high energy. As the black hole gradually grows hotter and smaller, it continues to evaporate. It grows smaller. As it grows smaller, it grows hotter. Physicists know almost nothing about black holes once black holes reach their last burst of evaporation. The Hawking theory that black holes evaporate contradicts Antoine Lavoisier’s Law of the Conservation of Mass. In 1785, Lavoisier, in his Law of the Conservation of Mass, stated that matter cannot be created or destroyed. Lavoisier conducted many experiments, in closed vessels, in which the weight remained constant, within experimental error. He produced reactions of tin or lead with oxygen. He analyzed mercury calx (HgO). With large burning lenses he focused the sun’s rays to reach high temperatures to produce chemical reactions. With a large lens Lavoisier burned a diamond and show that it produced only CO2. Black holes differ from other objects in space. Black holes have an extremely strong gravitational pull. 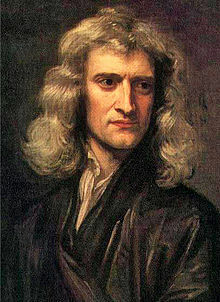 Nevertheless, black holes should not contradict the Law of the Conservation of Mass. Particle physicist Leonard Susskind teaches at Stanford. He considered but rejects a theory that inside the black hole, a piece of space breaks off and forms a universe, isolated from our perception of spacetime. One of the most trusted principles of physics states that information is never lost. 7 According to the pocket universe theory, information that falls into a black hole goes into a baby universe. According to the pocket universe theory, a black hole does not obliterate information. A black hole stores the information in the pocket universe. This theory solves the problem with Hawking’s theory, that information cannot be created or destroyed. If a black hole evaporated, then the information in the pocket universe would become completely unobservable. The pocket universe theory fails because it requires a change of energy. To create a pocket universe would require a change of energy. A quantum fluctuation is a temporary change in the amount of energy in a point in space. Physicists Leonard Susskind, Thomas Banks, and Michael Peskin all agree that quantum fluctuations would transform into thermal fluctuations, changes in thermal energy. Thermal fluctuations would almost instantaneously heat the universe to impossibly high temperatures. The pocket universe theory suffers a second problem. The only way information could enter a pocket universe would be through a wormhole. A wormhole is a theoretical passageway through space. For example, the Einstein-Rosen Bridge is a passageway from one universe to the other through a singularity. The singularity acts as a wormhole. John Archibald Wheeler, of John Hopkins University showed, by mathematics, that wormholes would open and closein so a short amount of time that nothing could pass through. Susskind cites Wheeler’s wormhole as evidence that wormholes creating miniature universes would not be possible. Some speculate that black holes stop evaporating once they reach the Planck Mass. The Planck mass is the combined mass of the number of particles in a Planck unit. A Planck unit is the maximum allowed mass to contain one elementary charge. The Planck mass is about 0.0217651 milligrams. Physicists believe that once a black hole reaches this size, it stops evaporating. It becomes an infinitely small information vault, containing all the information it absorbed. This theory conforms to the Law of Conservation of Matter more than Hawking’s theory. By the information vault theory, information is not destroyed. According to the First Law of Thermodynamics, heat balances itself, by flowing into cold objects. Heat raises the temperature of cold objects and lowers the temperature of hot objects until a system has a uniform temperature. Infinitely entropic particles would cause a thermodynamic disaster. The infinite entropy caused by the information vaults would burn up the universe. Susskind compares a black hole to a bathtub. Susskind analogizes matter entering a black hole to drops of ink spilling into a bathtub of water. Before an ink drop falls into the water, the ink drops are sharply defined. One can easily differentiate between the ink and the water. As the ink falls into the water, the ink drops dissolves. The difference between ink and water blurs. The water becomes cloudy. Soon all that remains is a uniform tub of slightly gray water. If the inky water evaporates, the molecules of ink and water continue to exist. They enter the air. They scatter and separate from each other. Susskind’s “bathtub option” edits Stephen Hawking’s theory to conform to the Law of Conservation of Matter. Both Hawking and Susskind believe that, at the center of a black hole, the singularity, along with all the other matter inside the black hole, eventually evaporates. Hawking theorized that a black hole destroys and obliterates all matter which enters the horizon. Susskind’s bathtub option predicts that the matter is scattered. 1. Henderson, Mark “Astronomers confirm black hole at the heart of the Milky ‘Way'” London: Times Online. (December 9, 2008) (Accessed 10/2/2016). “…[L]urking at the center of our galaxy is a supersized black hole with a Schwarzschild radius of about 100 million miles – about the size of the Earth’s orbit around the Sun.” Susskind, Leonard The Black Hole War, My Battle with Stephen Hawking to make the World Safe for Quantum Mechanics (New York: Hachette Book Group, 2008) p.32. Hawking, Stephen, A Brief History of Time (New York: Bantam Books, 1998). Strassler, Matt, “Virtual Particles, What are they?” https://profmattstrassler.com/articles-and-posts/particle-physics-basics/virtual-particles-what-are-they/. Susskind, Leonard, The Black Hole War, My Battle with Stephen Hawking to make the World Safe for Quantum Mechanics ( New York: Hachette Book Group, 2008). Wikipedia, “Antiparticle,” https://en.wikipedia.org/wiki/Antiparticle. (Accessed 10/2/2016). Donizetti set several operas in Britain. 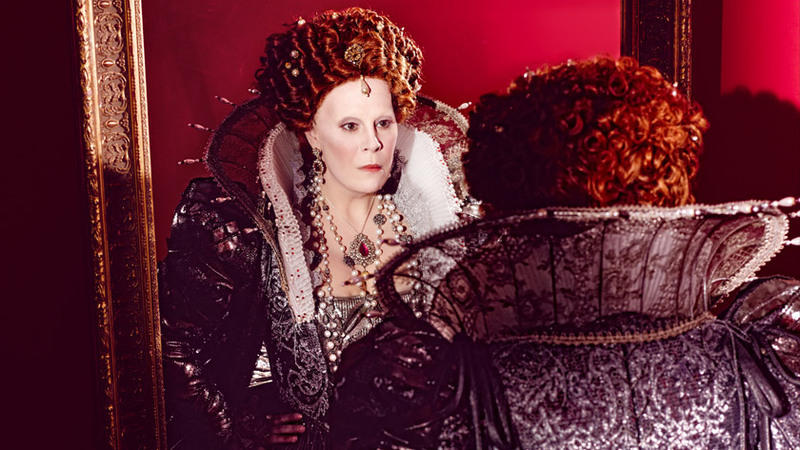 After Anna Bolena and Maria Stuarda Roberto Devereux was Donizetti’s third opera about British Queens. “Roberto Devereux,” depicts the golden age of Elizabeth’s reign and the Tudor era, when poetry, music and theater flowered. In 1599, Roberto Devereux, a former lover of Elizabeth I, returned from an unsuccessful war in Ireland, to England. The opera tells why Elizabeth I executed him for treason. his first appearance, Devereux wore a black overcoat with silver lining over black plate armor, based upon a 1590 Portrait by William Segar of Roberto Devereux, Earl of Essex. 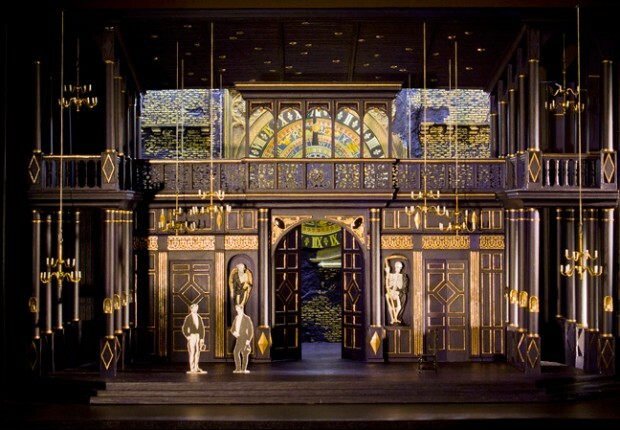 In the Metropolitan Opera’s new production, the stage wore no curtains. Between two balconies, a wall approached and receded from the audience. In different scenes the wall represented a palace of Elizabeth I, the Palace of the Duke of Nottingham, and the Tower of London. At the sides, in two galleries, chorus members acted as an audience and witnesses focusing attention upon the four soloists – soprano Elizabeth, the mezzo soprano Sara, the tenor Robert Devereux, and baritone Duke of Nottingham. Elizabeth I’s passion for her lover Robert, Earl of Essex, drives the plot. In scene 1, Elizabeth displayed the character of an imperious, fearsome, and proud monarch. She held more power than anyone else in England. Parliament sought to execute Essex as a rebel for treason. The elderly Queen loved a younger man. The Queen confided to Sara, a beautiful lady in waiting, that the Queen would pardon Devereux of the treason charges, if he still loved the Queen. Devereux loved Sara. Elizabeth had forced Sara to marry Devereux’s best friend and supporter, the Duke of Nottingham. Trapped in a marriage she never wanted, Sara still loved Devereux. 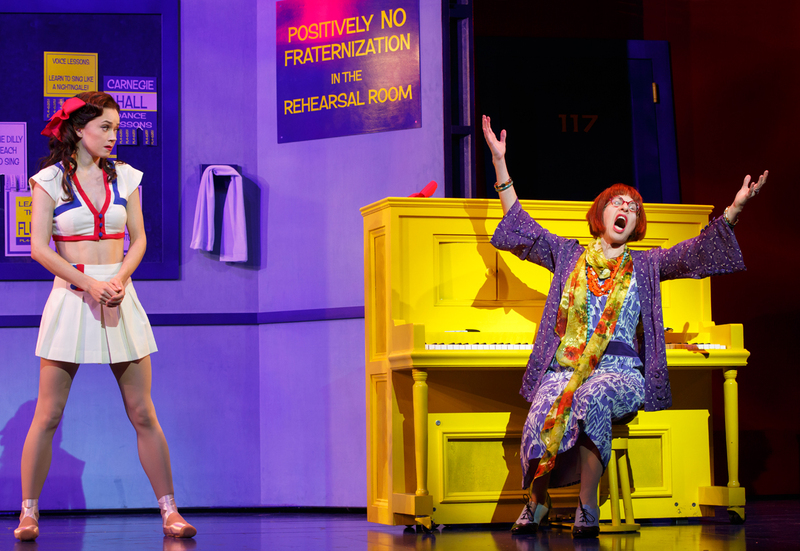 At their secret meeting, a duet between Sara and Devereux supplies one of the opera’s high points. Delightful flute mirrored the intense love they shared. Telling him to flee, that they must never meet again, Sara gave Devereux, as a token of her love, her blue shawl. 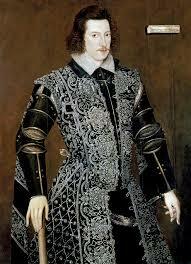 By order of the Queen, Sir Walter Raleigh arrested Devereux. Raleigh discovered Sara’s blue scarf. The scarf proved Devereux loved a woman. Blind with rage and jealousy, Elizabeth signed Devereux’s death warrant. Recognizing his wife’s scarf, the Duke of Nottingham, drunk in his palace, assaulted Sara with a knife and threw her about. Devereux’s unwise passion for Sara turned against him his best supporters – the Queen and his former friend the Duke of Nottingham. Still in love with Devereux, too late, the Queen canceled his execution. Moments before the executioner chopped off Devereux’s head, she pardoned Devereux. A cannon shot signaled his death. The Queen saw visions of Devereux’s headless ghost and a bloody crown. Elizabeth could not order Devereux to love her. Even the greatest power meets limits. In the background of the stage statues symbolized Time and Death. Renouncing her throne, she exclaimed “Let James be King!” A blast of the orchestra’s brass marked her death. The Broadway play “On the Town” tells the story of three Navy sailors who found the loves of their lives in New York while they had 24 hours to explore the city. Playful Chip wanted to see the sights. Innocent Gabey wanted to enjoy a day. Amorous Ozzie wanted to find a love in one night. Their adventure started in the subway. The three sailors saw a poster of the “Miss Turnstile” contest winner, the most beautiful woman who took the subway. The moment he saw her picture, Gabey loved Ivy. He searched for her in the places which the description under the poster said she loved to go to. Gabey found Ivy in Carnagie Hall. There she practiced singing with her insane Russian singing tutor. Ivy agreed to a date with Gabey. In the middle of the city, Chip found Hildy, a plump taxi driver, trying to find a man. Hildy immediately fell in love with Chip. She took him to her apartment. The three sailors caroused in bars and clubs. They loved their women. Finally, in the morning, all bid each other goodbye. “On the Town” portrays New York’s amazing diversity—a hedonist, Claire de Lune, an innocent classical artist, Ivy, the love-driven woman, Hildy. The sounds of New York excite and stimulate us. At Coney Island, we hear a circus theme. The music conveys a circus of love and fun. “On the Town” tells some jokes. When the couples are riding the subway to Coney Island, Hildy, the taxi driver woman observed there were only 192 more stops until Coney Island. Periodically, two women pass by, talking about one of the woman’s bosses. Each time they are more drunk than before. With ridiculous Brooklyn accents, they gossip. Woman 1: So what did you say? Woman 2: So I said, I may be your secretary Mr. Gadolfin, but I can’t go that far. Woman 1: So what did he say? Woman 2: So I said, I cannot do that to Mrs. Gadolfin and all those other little Gadolfins. So I just handed in my resignation and left the office. Woman 2: Now lets get a beer and we can talk about things! For enduring reasons, Broadway producers for decades have revived “On the Town.” Two and a half hours of comedy highlight New York’s hilarity. Three gamboling sailors show us New York’s fun and humor. Hiding his cape, hunting horn, and sword of a lord, Count Albrecht persuaded Giselle, a country girl, to love him. Bursting on the scene, the hunter Hilarion showed Giselle the engraved sword of Albrecht. Learning that Albrecht lied to her, Giselle lost her mind. She died of a broken heart. Wilis are ghosts of women who died of unrequited love. Myrta, the queen of the wilis summoned them to initiate Giselle into their sisterhood. Beside Giselle’s grave, eighteen wilis danced Hilarion, the hunter who loved Giselle and buried her, to death . Below:Giselle protects Count Albrecht from the wilis. Myrta, queen of the wilis, condemned Count Albrecht to dance to death. As a wili, Giselle protected Albrecht. She danced with him until four o’clock when wilis lose their power. In a memorable scene, Russian dancer Vladimir Shklyarov, as Albrecht, vaulted into the air an amazing 36 times. Dancing to the limits of endurance sets Giselle apart from other ballets. The essence of Giselle, extreme dancing, gives to this ballet authenticity. Giselle is not a performance. In Giselle, we see something realistic, dancing to the limits. As a tale of dancing to death with the wilis, Giselle’s libretto by Theophile Gautier adds to the ballet’s success. According to the playbill, Giselle is the oldest continually performed ballet. On May 23, 2015, the 75th Anniversary of the founding of American Ballet Theatre, the crowd glittered with stars. Giselle suits the tastes of ballet’s professionals. On her last dance as a principal dancer for ABT, Paloma Herrera on May 27, 2015 will dance Giselle. To dance Giselle explores the limits of dancing. By its single minded focus on ultimate dancing, Giselle has won success. ABT’s performance proved Giselle’s power as one of the greatest ballets of all time. An exploration of sound and how it works. Fibonacci numbers are an amazing sequence of numbers which appear all throughout human history and throughout nature. One may see fibonacci numbers in the great pyramid or a nautilus’ shell. This amazing sequence of numbers have a simple pattern but a stunningly complex role in the world around us. Mathematicians named Pascal’s triangle after the French mathematician Blaise Pascal. Pascal’s triangle is a triangular graph. In Pascal’s triangle each number is the sum of the two directly above it. The numbers in each row are numbered beginning with 0 for the first row. Each number is positioned either to the left or to the right of the numbers in the rows above. The sum of the elements of a single row is twice the sum of the row preceding it. A Pascal’s triangle can expand infinitely. 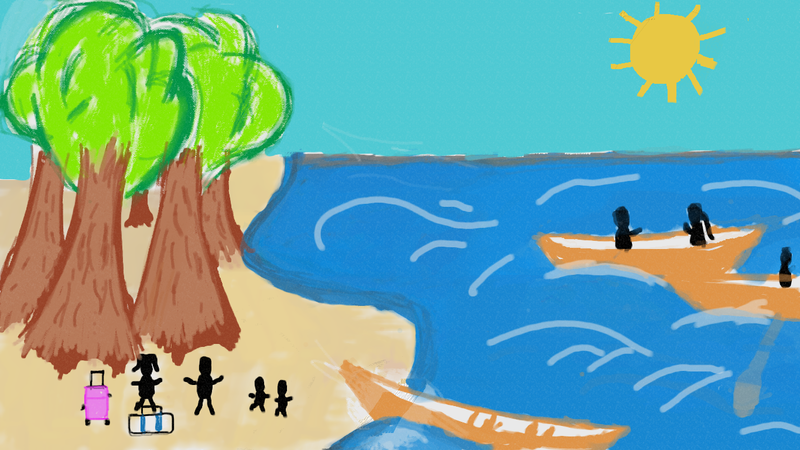 In almost all places on Earth, we have been living in houses of all shapes and sizes. We have built mobile homes and houseboats. Many have ridiculed the idea of houseboats. We have not developed houseboats as much as other forms of housing. How to make Green Fire! Only persons 18 years old and older should perform this experiment. If you do not fit this criteria, you need adult supervision when performing this experiment. Perform this experiment outdoors in a fire safe area. Infinite Initiative disclaims responsibility for explosions, fire or any other damages. Ever wanted to resemble a mad scientist? Have you read the story of Dr. Frankenstein? Have you ever wanted to produce green fire? The spectacle of green fire will amaze and thrill. In fact, green fire is no more dangerous than normal fire. Vibratory motion, or vibration differs from rotational motion and linear motion. In vibration, motion progresses alternately changing direction at fixed intervals. In the 6th century, the Greeks first studied vibration when they plucked the strings of instruments. Pythagoras of Samos in Greece studied the relationship of vibrations to music. People know Pythagoras of Samos better for discovering the Pythagorean Theorem (a2+b2=c2) in a triangle. The word vibration comes from the Latin word “vibrationis” for shaking. Bodies that have rotation have rotational inertia. They will continue to rotate around axis unless stopped by an outside force. For example, the Earth rotates around the Sun. Because of rotational inertia, astronauts are exceedingly careful to avoid getting into a spin. Just as there are linear and rotational velocities, there are also linear and rotational accelerations. As we use the Roman letter α for rotational velocity, we also use it for rotational acceleration. Just as linear velocity is equal to angular velocity times the distance from the center of rotation. Therefore linear acceleration is equal to angular acceleration. What is Velocity? 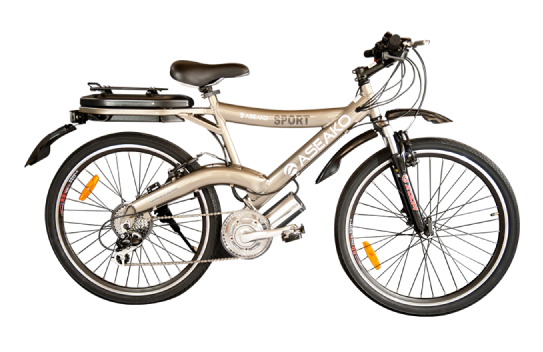 Many think velocity is just a scientific name for speed. They are partially right. Scientist define velocity as distance covered in unit time as in feet per second or miles per hour. 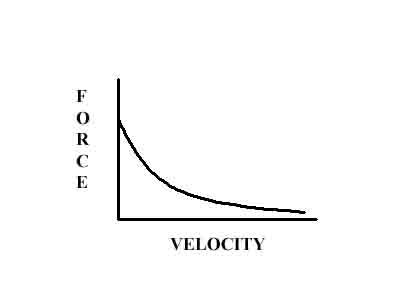 The curve of Force and Velocity. As the force exerted on an object is decreased, the velocity of the object is decreased. It is important to recognize that the numerator and and denominator are units and not numbers. The average velocity is 4 feet per second after it has traveled two feet. In the third second, it covers 18 feet with an average velocity of 6 feet per second. The New Yorker provided an excellent article about a hydrogen power plant that the government is building that will give almost infinite energy to anyone who uses power coming from it. The power plant will be a vacuum filled with trillions of hydrogen atoms. Then, the inside of the vacuum will heat up to enormous temperatures without melting the metal. The extreme heat will create the hydrogen atoms to move. This will make the hydrogen atoms fuse creating huge amounts of nuclear energy with only one millionth of normal nuclear energy’s nuclear waste. This spare nuclear waste will be drained of its resources until it will basically not exist making the power plant, in some sense, have no energy waste at all.